The Reserve provides numerous resources of potential benefit to visiting researchers. These include a fully-furnished and functional overnight cottage available for a nominal daily fee, island transportation upon arrangement, lab and office space, and internet access. For more information contact Kenny Raposa, Research Coordinator. 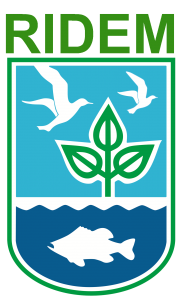 All visiting researchers are required to fill out an application for a permit to conduct research or monitoring in the Reserve, and to obtain proof of liability of insurance from their home institution. Permit materials are available here. Blue crab Callinectes sapidus at Coggeshall Marsh on Prudence Island. 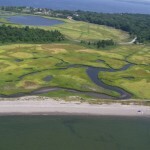 Aerial view of Nag marsh on Prudence Island. Purple marsh crab Sesarma reticulatum at Coggeshall marsh. King tide at Nag Marsh on Prudence Island. European Green crab Carcinus maenas found on a cobble beach on Prudence Island.